Talyllyn Railway on the west coast of Wales. An engine they had called Peter Sam out of the Thomas the Tank Engine series was running on the day we visited. We all rode on the train that he pulled. 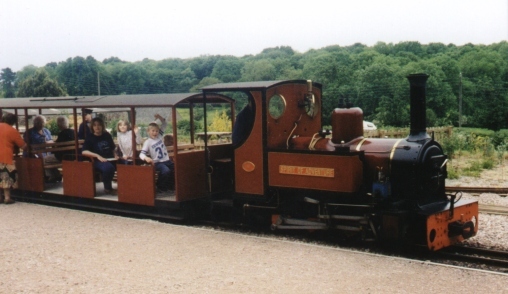 Hidden away in a Welsh valley, just a few miles North of Chepstow is the Perrygrove Railway. We thought this was the best railway in the world! They had a treasure hunt, in which we had to search for clues around the railway before we could open the treasure chest! We have been here three times! 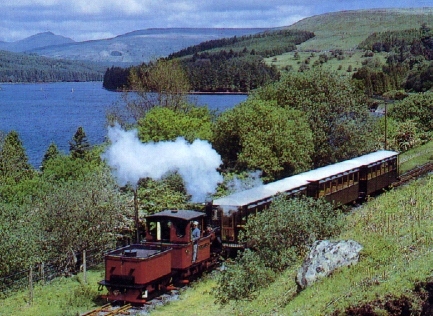 Brecon Mountain Railway is located 24 miles North of Cardiff in the Brecon Beacons National Park. 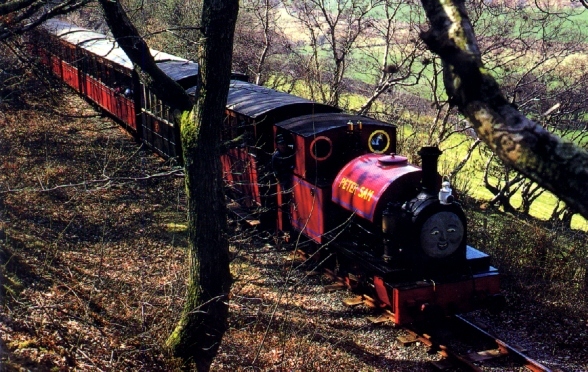 It is the highest mountain railway in Wales. They have preserved and restored maintain railway engines from all over Europe in their workshops. This engine that pulled our train, came from Germany!